This article is about the writer. For the cricketer, see Irving Washington. Irving served as ambassador to Spain from 1842 to 1846. He made his literary debut in 1802 with a series of observational letters to the Morning Chronicle, written under the pseudonym Jonathan Oldstyle. He moved to England for the family business in 1815 where he achieved fame with the publication of The Sketch Book of Geoffrey Crayon, Gent., serialized from 1819–20. He continued to publish regularly throughout his life, and he completed a five-volume biography of George Washington just eight months before his death at age 76 in Tarrytown, New York. Irving was one of the first American writers to earn acclaim in Europe, and he encouraged other American authors such as Nathaniel Hawthorne, Henry Wadsworth Longfellow, Herman Melville, and Edgar Allan Poe. He was also admired by some British writers, including Lord Byron, Thomas Campbell, Charles Dickens, Francis Jeffrey, and Walter Scott. He advocated for writing as a legitimate profession and argued for stronger laws to protect American writers from copyright infringement. 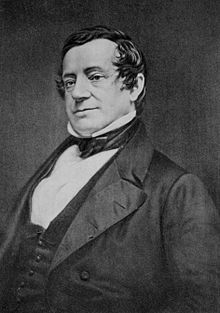 Washington Irving's parents were William Irving Sr., originally of Quholm, Shapinsay, Orkney, Scotland, and Sarah (née Saunders), originally of Falmouth, Cornwall, England. They married in 1761 while William was serving as a petty officer in the British Navy. They had eleven children, eight of whom survived to adulthood. Their first two sons died in infancy, both named William, as did their fourth child John. Their surviving children were William Jr. (1766), Ann (1770), Peter (1771), Catherine (1774), Ebenezer (1776), John Treat (1778), Sarah (1780), and Washington. 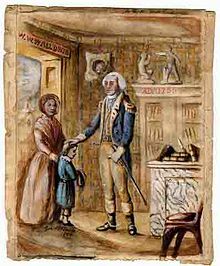 The Irving family settled in Manhattan and were part of the city's merchant class when Washington was born on April 3, 1783, the same week that New York City residents learned of the British ceasefire which ended the American Revolution, and Irving's mother named him after George Washington. Irving met his namesake at age 6, when George Washington was living in New York after his inauguration as President in 1789. The President blessed young Irving, an encounter that Irving commemorated in a small watercolor painting which continues to hang in his home. The Irvings lived at 131 William Street at the time of Washington's birth, but they later moved across the street to 128 William St. Several of Irving's brothers became active New York merchants; they encouraged his literary aspirations, often supporting him financially as he pursued his writing career. Irving was an uninterested student who preferred adventure stories and drama, and he regularly sneaked out of class in the evenings to attend the theater by the time he was 14. An outbreak of yellow fever in Manhattan in 1798 prompted his family to send him upriver, and he stayed with his friend James Kirke Paulding in Tarrytown, New York. It was in Tarrytown that he became familiar with the nearby town of Sleepy Hollow, New York, with its Dutch customs and local ghost stories. He made several other trips up the Hudson as a teenager, including an extended visit to Johnstown, New York where he passed through the Catskill Mountains region, the setting for "Rip Van Winkle". "Of all the scenery of the Hudson", Irving wrote, "the Kaatskill Mountains had the most witching effect on my boyish imagination". Irving began writing letters to the New York Morning Chronicle in 1802 when he was 19, submitting commentaries on the city's social and theater scene under the pseudonym Jonathan Oldstyle. The name evoked his Federalist leanings and was the first of many pseudonyms that he employed throughout his career. The letters brought Irving some early fame and moderate notoriety. Aaron Burr was a co-publisher of the Chronicle, and he was impressed enough to send clippings of the Oldstyle pieces to his daughter Theodosia. Charles Brockden Brown made a trip to New York to recruit Oldstyle for a literary magazine that he was editing in Philadelphia. Irving's brothers became concerned for his health, so they financed an extended tour of Europe from 1804 to 1806. He bypassed most of the sites and locations considered essential for the social development of a young man, to the dismay of his brother William who wrote that he was pleased that his brother's health was improving, but he did not like the choice to "gallop through Italy… leaving Florence on your left and Venice on your right". Instead, Irving honed the social and conversational skills that eventually made him one of the world's most in-demand guests. "I endeavor to take things as they come with cheerfulness", Irving wrote, "and when I cannot get a dinner to suit my taste, I endeavor to get a taste to suit my dinner". While visiting Rome in 1805, Irving struck up a friendship with painter Washington Allston and was almost persuaded into a career as a painter. "My lot in life, however, was differently cast". Irving returned from Europe to study law with his legal mentor Judge Josiah Ogden Hoffman in New York City. By his own admission, he was not a good student and barely passed the bar examination in 1806. He began socializing with a group of literate young men whom he dubbed "The Lads of Kilkenny", and he created the literary magazine Salmagundi in January 1807 with his brother William and his friend James Kirke Paulding, writing under various pseudonyms, such as William Wizard and Launcelot Langstaff. Irving lampooned New York culture and politics in a manner similar to today's Mad magazine. 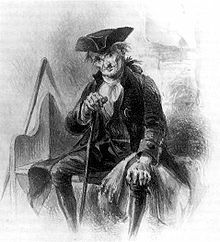 Salmagundi was a moderate success, spreading Irving's name and reputation beyond New York. He gave New York City the nickname "Gotham" in its 17th issue dated November 11, 1807, an Anglo-Saxon word meaning "Goat's Town". Irving completed A History of New-York from the Beginning of the World to the End of the Dutch Dynasty, by Diedrich Knickerbocker (1809) while mourning the death of his 17 year-old fiancée Matilda Hoffman. It was his first major book and a satire on self-important local history and contemporary politics. Before its publication, Irving started a hoax by placing a series of missing person advertisements in New York newspapers seeking information on Diedrich Knickerbocker, a crusty Dutch historian who had allegedly gone missing from his hotel in New York City. As part of the ruse, he placed a notice from the hotel's proprietor informing readers that, if Mr. Knickerbocker failed to return to the hotel to pay his bill, he would publish a manuscript that Knickerbocker had left behind. Unsuspecting readers followed the story of Knickerbocker and his manuscript with interest, and some New York city officials were concerned enough about the missing historian to offer a reward for his safe return. Irving then published A History of New York on December 6, 1809 under the Knickerbocker pseudonym, with immediate critical and popular success. "It took with the public", Irving remarked, "and gave me celebrity, as an original work was something remarkable and uncommon in America". Today, the name Diedrich Knickerbocker has become a nickname for Manhattan residents in general and was adopted by the New York Knickerbockers basketball team. After the success of A History of New York, Irving searched for a job and eventually became an editor of Analectic Magazine, where he wrote biographies of naval heroes such as James Lawrence and Oliver Perry. He was also among the first magazine editors to reprint Francis Scott Key's poem "Defense of Fort McHenry", which was immortalized as "The Star-Spangled Banner". Irving initially opposed the War of 1812 like many other merchants, but the British attack on Washington, D.C. in 1814 convinced him to enlist. He served on the staff of Daniel Tompkins, governor of New York and commander of the New York State Militia, but he saw no real action apart from a reconnaissance mission in the Great Lakes region. The war was disastrous for many American merchants, including Irving's family, and he left for England in mid-1815 to salvage the family trading company. He remained in Europe for the next 17 years. Irving spent the next two years trying to bail out the family firm financially but eventually had to declare bankruptcy. With no job prospects, he continued writing throughout 1817 and 1818. In the summer of 1817, he visited Walter Scott, beginning a lifelong personal and professional friendship. Irving composed the short story "Rip Van Winkle" overnight while staying with his sister Sarah and her husband, Henry van Wart in Birmingham, England, a place that inspired other works, as well. In October 1818, Irving's brother William secured for Irving a post as chief clerk to the United States Navy and urged him to return home. Irving turned the offer down, opting to stay in England to pursue a writing career. 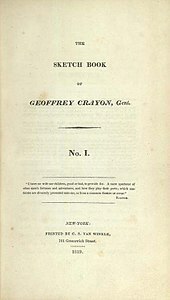 In the spring of 1819, Irving sent to his brother Ebenezer in New York a set of short prose pieces that he asked be published as The Sketch Book of Geoffrey Crayon, Gent. The first installment, containing "Rip Van Winkle", was an enormous success, and the rest of the work would be equally successful; it was issued in 1819–1820 in seven installments in New York, and in two volumes in London ("The Legend of Sleepy Hollow" would appear in the sixth issue of the New York edition, and the second volume of the London edition). Like many successful authors of this era, Irving struggled against literary bootleggers. In England, some of his sketches were reprinted in periodicals without his permission, a legal practice as there was no international copyright law at the time. To prevent further piracy in Britain, Irving paid to have the first four American installments published as a single volume by John Miller in London. Irving appealed to Walter Scott for help procuring a more reputable publisher for the remainder of the book. Scott referred Irving to his own publisher, London powerhouse John Murray, who agreed to take on The Sketch Book. From then on, Irving would publish concurrently in the United States and Britain to protect his copyright, with Murray as his English publisher of choice. Irving's reputation soared, and for the next two years, he led an active social life in Paris and Great Britain, where he was often feted as an anomaly of literature: an upstart American who dared to write English well. With both Irving and publisher John Murray eager to follow up on the success of The Sketch Book, Irving spent much of 1821 travelling in Europe in search of new material, reading widely in Dutch and German folk tales. Hampered by writer's block—and depressed by the death of his brother William—Irving worked slowly, finally delivering a completed manuscript to Murray in March 1822. The book, Bracebridge Hall, or The Humorists, A Medley (the location was based loosely on Aston Hall, occupied by members of the Bracebridge family, near his sister's home in Birmingham) was published in June 1822. The format of Bracebridge was similar to that of The Sketch Book, with Irving, as Crayon, narrating a series of more than fifty loosely connected short stories and essays. While some reviewers thought Bracebridge to be a lesser imitation of The Sketch Book, the book was well received by readers and critics. "We have received so much pleasure from this book", wrote critic Francis Jeffrey in the Edinburgh Review, "that we think ourselves bound in gratitude... to make a public acknowledgement of it." Irving was relieved at its reception, which did much to cement his reputation with European readers. Still struggling with writer's block, Irving traveled to Germany, settling in Dresden in the winter of 1822. Here he dazzled the royal family and attached himself to Mrs. Amelia Foster, an American living in Dresden with her five children. Irving was particularly attracted to Mrs. Foster's 18-year-old daughter Emily and vied in frustration for her hand. Emily finally refused his offer of marriage in the spring of 1823. He returned to Paris and began collaborating with playwright John Howard Payne on translations of French plays for the English stage, with little success. He also learned through Payne that the novelist Mary Wollstonecraft Shelley was romantically interested in him, though Irving never pursued the relationship. In August 1824, Irving published the collection of essays Tales of a Traveller—including the short story "The Devil and Tom Walker"—under his Geoffrey Crayon persona. "I think there are in it some of the best things I have ever written", Irving told his sister. But while the book sold respectably, Traveller was dismissed by critics, who panned both Traveller and its author. "The public have been led to expect better things", wrote the United States Literary Gazette, while the New-York Mirror pronounced Irving "overrated". Hurt and depressed by the book's reception, Irving retreated to Paris where he spent the next year worrying about finances and scribbling down ideas for projects that never materialized. While in Paris, Irving received a letter from Alexander Hill Everett on January 30, 1826. Everett, recently the American Minister to Spain, urged Irving to join him in Madrid, noting that a number of manuscripts dealing with the Spanish conquest of the Americas had recently been made public. Irving left for Madrid and enthusiastically began scouring the Spanish archives for colorful material. The palace Alhambra in Granada, where Irving briefly resided in 1829, inspired one of his most colorful books. With full access to the American consul's massive library of Spanish history, Irving began working on several books at once. The first offspring of this hard work, A History of the Life and Voyages of Christopher Columbus, was published in January 1828. The book was popular in the United States and in Europe and would have 175 editions published before the end of the century. It was also the first project of Irving's to be published with his own name, instead of a pseudonym, on the title page. Irving was invited to stay at the palace of the Duke of Gor, who gave him unfettered access to his library containing many medieval manuscripts. Chronicle of the Conquest of Granada was published a year later, followed by Voyages and Discoveries of the Companions of Columbus in 1831. Irving's writings on Columbus are a mixture of history and fiction, a genre now called romantic history. Irving based them on extensive research in the Spanish archives, but also added imaginative elements aimed at sharpening the story. The first of these works is the source of the durable myth that medieval Europeans believed the Earth was flat. (See Myth of the flat earth.) According to the popular book, Columbus proved the Earth was round. In 1829, Irving moved into Granada's ancient palace Alhambra, "determined to linger here", he said, "until I get some writings under way connected with the place". Before he could get any significant writing underway, however, he was notified of his appointment as Secretary to the American Legation in London. Worried he would disappoint friends and family if he refused the position, Irving left Spain for England in July 1829. Arriving in London, Irving joined the staff of American Minister Louis McLane. McLane immediately assigned the daily secretary work to another man and tapped Irving to fill the role of aide-de-camp. The two worked over the next year to negotiate a trade agreement between the United States and the British West Indies, finally reaching a deal in August 1830. That same year, Irving was awarded a medal by the Royal Society of Literature, followed by an honorary doctorate of civil law from Oxford in 1831. Following McLane's recall to the United States in 1831 to serve as Secretary of Treasury, Irving stayed on as the legation's chargé d'affaires until the arrival of Martin Van Buren, President Andrew Jackson's nominee for British Minister. With Van Buren in place, Irving resigned his post to concentrate on writing, eventually completing Tales of the Alhambra, which would be published concurrently in the United States and England in 1832. Irving was still in London when Van Buren received word that the United States Senate had refused to confirm him as the new Minister. Consoling Van Buren, Irving predicted that the Senate's partisan move would backfire. "I should not be surprised", Irving said, "if this vote of the Senate goes far toward elevating him to the presidential chair". Irving arrived in New York on May 21, 1832 after 17 years abroad. That September, he accompanied Commissioner on Indian Affairs Henry Leavitt Ellsworth on a surveying mission, along with companions Charles La Trobe and Count Albert-Alexandre de Pourtales, and they traveled deep into Indian Territory (now the state of Oklahoma). At the completion of his western tour, Irving traveled through Washington, D.C. and Baltimore, where he became acquainted with politician and novelist John Pendleton Kennedy. Irving was frustrated by bad investments, so he turned to writing to generate additional income, beginning with A Tour on the Prairies which related his recent travels on the frontier. The book was another popular success and also the first book written and published by Irving in the United States since A History of New York in 1809. In 1834, he was approached by fur magnate John Jacob Astor who convinced him to write a history of his fur trading colony in the Astoria, Oregon. Irving made quick work of Astor's project, shipping the fawning biographical account Astoria in February 1836. In 1835, Irving, Astor, and a few others founded the Saint Nicholas Society in the City of New York. During an extended stay at Astor's, Irving met explorer Benjamin Bonneville and was intrigued with his maps and stories of the territories beyond the Rocky Mountains. The two men met in Washington, D.C. several months later, and Bonneville sold his maps and rough notes to Irving for $1,000. Irving used these materials as the basis for his 1837 book The Adventures of Captain Bonneville. These three works made up Irving's "western" series of books and were written partly as a response to criticism that his time in England and Spain had made him more European than American. Critics such as James Fenimore Cooper and Philip Freneau felt that he had turned his back on his American heritage in favor of English aristocracy. Irving's western books were well received in the United States, particularly A Tour on the Prairies, though British critics accused him of "book-making". In 1835, Irving purchased a "neglected cottage" and its surrounding riverfront property in Tarrytown, New York which he named Sunnyside in 1841. It required constant repair and renovation over the next 20 years, with costs continually escalating, so he reluctantly agreed to become a regular contributor to The Knickerbocker magazine in 1839, writing new essays and short stories under the Knickerbocker and Crayon pseudonyms. He was regularly approached by aspiring young authors for advice or endorsement, including Edgar Allan Poe, who sought Irving's comments on "William Wilson" and "The Fall of the House of Usher". Irving also championed America's maturing literature, advocating stronger copyright laws to protect writers from the kind of piracy that had initially plagued The Sketch Book. Writing in the January 1840 issue of Knickerbocker, he openly endorsed copyright legislation pending in Congress. "We have a young literature", he wrote, "springing up and daily unfolding itself with wonderful energy and luxuriance, which… deserves all its fostering care". The legislation, however, did not pass. In 1841, he was elected in the National Academy of Design as an Honorary Academician. He also began a friendly correspondence with Charles Dickens and hosted him and his wife at Sunnyside during Dickens's American tour in 1842. President John Tyler appointed Irving as Minister to Spain in 1842, after an endorsement from Secretary of State Daniel Webster. Irving wrote, "It will be a severe trial to absent myself for a time from my dear little Sunnyside, but I shall return to it better enabled to carry it on comfortably". He hoped that his position as Minister would allow him plenty of time to write, but Spain was in a state of political upheaval during most of his tenure, with a number of warring factions vying for control of the 12 year-old Queen Isabella II. Irving maintained good relations with the various generals and politicians, as control of Spain rotated through Espartero, Bravo, then Narvaez. However, the politics and warfare were exhausting, and Irving was both homesick and suffering from a crippling skin condition. I am wearied and at times heartsick of the wretched politics of this country…. The last ten or twelve years of my life, passed among sordid speculators in the United States, and political adventurers in Spain, has shewn me so much of the dark side of human nature, that I begin to have painful doubts of my fellow man; and look back with regret to the confiding period of my literary career, when, poor as a rat, but rich in dreams, I beheld the world through the medium of my imagination and was apt to believe men as good as I wished them to be. With the political situation relatively settled in Spain, Irving continued to closely monitor the development of the new government and the fate of Isabella. His official duties as Spanish Minister also involved negotiating American trade interests with Cuba and following the Spanish parliament's debates over the slave trade. He was also pressed into service by Louis McLane, the American Minister to the Court of St. James's in London, to assist in negotiating the Anglo-American disagreement over the Oregon border that newly elected president James K. Polk had vowed to resolve. Irving returned from Spain in 1846, took up residence at Sunnyside, and began work on an "Author's Revised Edition" of his works for publisher George Palmer Putnam. For its publication, Irving had made a deal which guaranteed him 12 percent of the retail price of all copies sold, an agreement that was unprecedented at that time. As he revised his older works for Putnam, he continued to write regularly, publishing biographies of Oliver Goldsmith in 1849 and Islamic prophet Muhammad in 1850. In 1855, he produced Wolfert's Roost, a collection of stories and essays that he had written for The Knickerbocker and other publications, and he began publishing a biography of his namesake George Washington which he expected to be his masterpiece. Five volumes of the biography were published between 1855 and 1859. Irving traveled regularly to Mount Vernon and Washington, D.C. for his research, and struck up friendships with Presidents Millard Fillmore and Franklin Pierce. He was elected an Associate Fellow of the American Academy of Arts and Sciences in 1855. He was hired as an executor of John Jacob Astor's estate in 1848 and appointed by Astor's will as first chairman of the Astor Library, a forerunner to the New York Public Library. Irving continued to socialize and keep up with his correspondence well into his seventies, and his fame and popularity continued to soar. "I don't believe that any man, in any country, has ever had a more affectionate admiration for him than that given to you in America", wrote Senator William C. Preston in a letter to Irving. "I believe that we have had but one man who is so much in the popular heart". By 1859, author Oliver Wendell Holmes Sr. noted that Sunnyside had become "next to Mount Vernon, the best known and most cherished of all the dwellings in our land". Irving is largely credited as the first American Man of Letters and the first to earn his living solely by his pen. Henry Wadsworth Longfellow acknowledged Irving's role in promoting American literature in December 1859: "We feel a just pride in his renown as an author, not forgetting that, to his other claims upon our gratitude, he adds also that of having been the first to win for our country an honourable name and position in the History of Letters". Irving perfected the American short story and was the first American writer to set his stories firmly in the United States, even as he poached from German or Dutch folklore. He is also generally credited as one of the first to write in the vernacular and without an obligation to presenting morals or being didactic in his short stories, writing stories simply to entertain rather than to enlighten. He also encouraged would-be writers. As George William Curtis noted, there "is not a young literary aspirant in the country, who, if he ever personally met Irving, did not hear from him the kindest words of sympathy, regard, and encouragement". Edgar Allan Poe, on the other hand, felt that Irving should be given credit for being an innovator but that the writing itself was often unsophisticated. "Irving is much over-rated", Poe wrote in 1838, "and a nice distinction might be drawn between his just and his surreptitious and adventitious reputation—between what is due to the pioneer solely, and what to the writer". 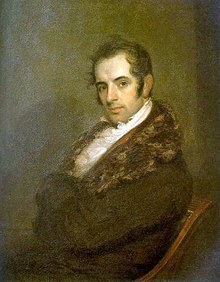 A critic for the New-York Mirror wrote: "No man in the Republic of Letters has been more overrated than Mr. Washington Irving". Some critics claimed that Irving catered to British sensibilities, and one critic charged that he wrote "of and for England, rather than his own country". Other critics were more supportive of Irving's style. William Makepeace Thackeray was the first to refer to Irving as the "ambassador whom the New World of Letters sent to the Old", a banner picked up by writers and critics throughout the 19th and 20th centuries. "He is the first of the American humorists, as he is almost the first of the American writers", wrote critic H.R. Hawless in 1881, "yet belonging to the New World, there is a quaint Old World flavor about him". Early critics often had difficulty separating Irving the man from Irving the writer. "The life of Washington Irving was one of the brightest ever led by an author", wrote Richard Henry Stoddard, an early Irving biographer. Later critics, however, began to review his writings as all style with no substance. "The man had no message", said critic Barrett Wendell. Irving popularized the nickname "Gotham" for New York City, and he is credited with inventing the expression "the almighty dollar". The surname of his fictional Dutch historian Diedrich Knickerbocker is generally associated with New York and New Yorkers, as found in New York's professional basketball team The New York Knickerbockers. One of Irving's most lasting contributions to American culture is in the way that Americans celebrate Christmas. In his 1812 revisions to A History of New York, he inserted a dream sequence featuring St. Nicholas soaring over treetops in a flying wagon, an invention which others dressed up as Santa Claus. In his five Christmas stories in The Sketch Book, Irving portrayed an idealized celebration of old-fashioned Christmas customs at a quaint English manor which depicted English Christmas festivities that he experienced while staying in England, which had largely been abandoned. He used text from The Vindication of Christmas (London 1652) of old English Christmas traditions, and the book contributed to the revival and reinterpretation of the Christmas holiday in the United States. Irving introduced the erroneous idea that Europeans believed the world to be flat prior to the discovery of the New World in his biography of Christopher Columbus, yet the flat-Earth myth has been taught in schools as fact to many generations of Americans. 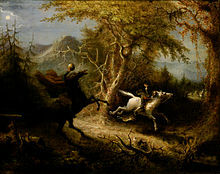 American painter John Quidor based many of his paintings on scenes from the works of Irving about Dutch New York, including such paintings as Ichabod Crane Flying from the Headless Horseman (1828), The Return of Rip Van Winkle (1849), and The Headless Horseman Pursuing Ichabod Crane (1858). 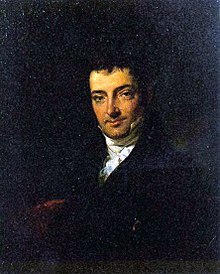 The village of Dearman, New York changed its name to "Irvington" in 1854 to honor Washington Irving, who was living in nearby "Sunnyside", which is preserved as a museum. Influential residents of the village prevailed upon the Hudson River Railroad, which had reached the village by 1849, to change the name of the train station to "Irvington", and the village incorporated as Irvington on April 16, 1872. The town of Knickerbocker, Texas was founded by two of Irving's nephews, who named it in honor of their uncle's literary pseudonym. 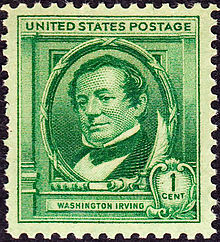 The city of Irving, Texas states that it is named for Washington Irving. ^ a b Burstein, 7. ^ PMI, 1:26, et al. ^ Warner, 27; PMI, 1:36. ^ a b Burstein, 43. ^ Washington Irving to William Irving Jr., September 20, 1804, Works 23:90. ^ Irving, Washington. "Memoir of Washington Allston", Works 2:175. ^ Washington Irving to Mrs. Amelia Foster, [April–May 1823], Works, 23:740-41. See also PMI, 1:173, Williams, 1:77, et al. ^ Burrows, Edwin G. and Mike Wallace. Gotham: A History of New York City to 1898. (Oxford University Press, 1999), 417. See Jones, 74–75. ^ Washington Irving to Mrs. Amelia Foster, [April–May 1823], Works, 23:741. ^ "Knickerbocker". Oxford English Dictionary. ^ William Irving Jr. to Washington Irving, New York, October 14, 1818, Williams, 1:170-71. ^ Washington Irving to Ebenezer Irving, [London, late November 1818], Works, 23:536. ^ See reviews from Quarterly Review and others, in The Sketch Book, xxv–xxviii; PMI 1:418–19. ^ Irving, Washington. "Preface to the Revised Edition", The Sketch Book, Works, 8:7; Jones, 188-89. ^ McClary, Ben Harris, ed. Washington Irving and the House of Murray. (University of Tennessee Press, 1969). ^ See comments of William Godwin, cited in PMI, 1:422; Lady Littleton, cited in PMI 2:20. ^ Aderman, Ralph M., ed. Critical Essays on Washington Irving. (G. K. Hall, 1990), 55–57; STW 1:209. ^ See Reichart, Walter A. Washington Irving and Germany. (University of Michigan Press, 1957). ^ See Sanborn, F.B., ed. The Romance of Mary Wollstonecraft Shelley, John Howard Payne and Washington Irving. Boston: Bibliophile Society, 1907. ^ See reviews in Blackwood's Edinburgh Magazine, Westminster Review, et al., 1824. Cited in Jones, 222. ^ Loewen, James W. Lies Across America: What Our Historic Sites Get Wrong. New York: The New Press, 1999: 59. ^ Jill Eastwood (1967). "La Trobe, Charles Joseph (1801–1875)". Australian Dictionary of Biography, Volume 2. MUP. pp. 89–93. Retrieved July 13, 2007. ^ See Irving, "A Tour on the Prairies", Works 22. ^ Monthly Review, New and Improved, ser. 2 (June 1837): 279–90. See Aderman, Ralph M., ed. Critical Essays on Washington Irving. (G. K. Hall, 1990), 110–11. ^ Edgar Allan Poe to N. C. Brooks, Philadelphia, September 4, 1838. Cited in Williams, 2:101-02. ^ Washington Irving to Lewis G. Clark, (before January 10, 1840), Works, 25:32–33. ^ "National Academicians". Archived from the original on January 16, 2014. Retrieved January 18, 2014. ^ Washington Irving to Ebenezer Irving, New York, February 10, 1842, Works, 25:180. ^ a b Williams, 2:208–209. ^ Bryan, William Alfred. George Washington in American Literature 1775–1865. New York: Columbia University Press, 1952: 103. ^ "Book of Members, 1780–2010: Chapter I" (PDF). American Academy of Arts and Sciences. Retrieved September 9, 2016. ^ William C. Preston to Washington Irving, Charlottesville, May 11, 1859, PMI, 4:286. ^ Longfellow, Henry Wadsworth. "In The Churchyard at Tarrytown", quoted in Burstein, 330. ^ Longfellow, Henry Wadsworth. "Address on the Death of Washington Irving", Poems and Other Writings, J.D. McClatchy, editor. (Library of America, 2000). ^ Leon H. Vincent, American Literary Masters, 1906. ^ Pattee, Fred Lewis. The First Century of American Literature, 1770–1870. New York: Cooper Square Publishers, 1935. ^ Poe to N.C. Brooks, Philadelphia, September 4, 1838. Cited in Williams 2:101-02. ^ Thackeray, Roundabout Papers, 1860. ^ Hawless, American Humorists, 1881. ^ Stoddard, The Life of Washington Irving, 1883. ^ Wendell, A Literary History of America, 1901. ^ Migro, Carmen. "So, Why Do We Call It Gotham, Anyway?". NYPL.org. New York Public Library. Retrieved October 27, 2017. ^ See Irving, 1829, Chapter VII: "Columbus before the council at Salamanca", pp. 40–47, especially p. 43. ^ Grant (Edward), 2001, p. 342. ^ Grant (John), 2006, p. 32, in the subsection "The Earth – Flat or Hollow?" beginning at p. 30, within Chapter 1 "Worlds in Upheval". ^ Caldwell, John; Rodriguez Roque, Oswaldo (1994). Kathleen Luhrs (ed.). American Paintings in the Metropolitan Museum of Art. Volume I: a Catalogue of Works by Artists Born By 1815. Dale T. Johnson, Carrie Rebora, Patricia R. Windels. The Metropolitan Museum of Art in association with Princeton University Press. pp. 479–482. ^ Roger Panetta, ed. (2009). Dutch New York: the roots of Hudson Valley culture. Hudson River Museum. pp. 223–235. ISBN 978-0-8232-3039-6. ^ Sunnyside was considered to be part of Irvington (or Dearman) at the time; the neighboring village of Tarrytown incorporated in 1870, two years before Irvington. The estate ended up in Tarrytown rather than Irvington after the boundaries were drawn. ^ Scharf (1886). "II". History of Westchester County. 2. p. 190. ^ "About Irvington, NY". Village of Irvington Chamber of Commerce. 2007. Archived from the original on December 6, 2008. Retrieved May 14, 2009. ^ Vizard, Mary McAleer (April 19, 1992). "If You're Thinking of Living in: Irvington". New York Times. Retrieved May 14, 2009. ^ "Irving History". IrvingTX.net. Archived from the original on August 18, 2011. Retrieved March 28, 2010. ^ "Declaration that Irving, TX is named for Washington Irving". Retrieved September 26, 2014. ^ Irving's publisher, John Murray, overrode Irving's decision to use this pseudonym and published the book under Irving's name—much to the annoyance of its author. See Jones 258-59. ^ Composed of the three short stories "A Tour on the Prairies", "Abbotsford and Newstead Abbey", and "Legends of the Conquest of Spain". Bowers, Claude G. The Spanish Adventures of Washington Irving. (Riverside Press, 1940). Hellman, George S. Washington Irving, Esquire. (Alfred A. Knopf, 1925). Irving, Pierre M. Life and Letters of Washington Irving. 4 vols. (G.P. Putnam, 1862). Cited herein as PMI. Irving, Washington. The Complete Works of Washington Irving. (Rust, et al., editors). 30 vols. (University of Wisconsin/Twayne, 1969–1986). Cited herein as Works. Irving, Washington. (1828) History of the Life of Christopher Columbus, 3 volumes, 1828, G. & C. Carvill, publishers, New York, New York; as 4 volumes, 1828, John Murray, publisher, London; and as 4 volumes, 1828, Paris A. and W. Galignani, publishers, France. Irving, Washington. (1829) The Life and Voyage of Christopher Columbus, 1 volume, 1829, G. & C. & H. Carvill, publishers, New York, New York; an abridged version prepared by Irving of his 1828 work. Warner, Charles Dudley. Washington Irving. (Riverside Press, 1881). 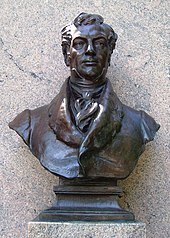 Wikimedia Commons has media related to Washington Irving. A day with Washington Irving – article published by Once a Week (magazine).